Thanks for the well wishes, guys, I am feeling much better now. I have a horrible croaky voice though...not cool because I need to be at my best tomorrow. Good lord. This week will be crazy, again. Anyway! 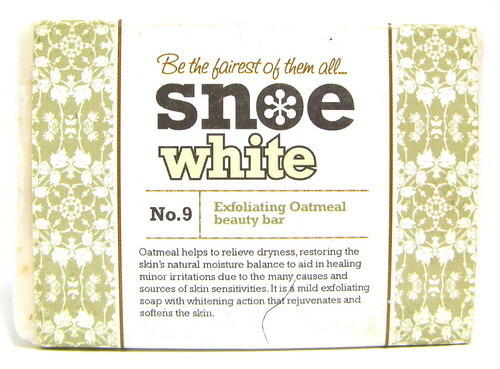 I just wanted to talk about the Snoe White Beauty Bar (P139), particularly the Exfoliating Oatmeal Beauty Bar. It's what I've been using in the shower lately since it's pretty good. Let me tell you why! Has this nice oatmeal yogurt scent that's very relaxing. Doesn't smell too chemical. Incredibly sudsy and slinky. I use it with a plastic loofah - whatchamacallit? That! It's as good as a shower gel. I normally prefer shower gels, but this soap works. Washes off with no discernible residue. It's a great soap, but there are downsides. 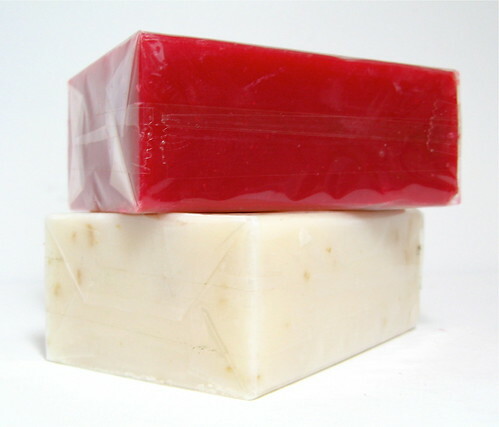 It becomes goopy after a few uses, so you end up using a lot more as the soap melts easily. I give it a three, four-week life span. 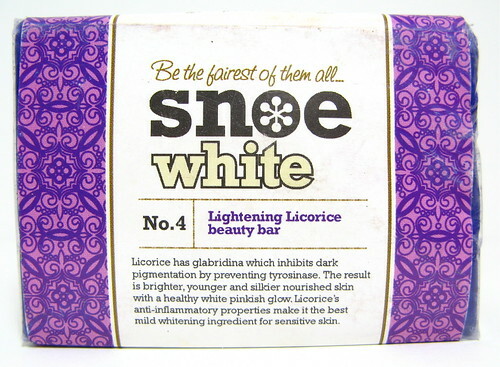 Perhaps Snoe can improve on this aspect of the formula? 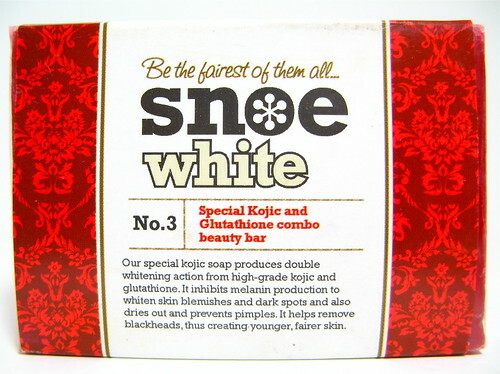 As for the other soaps, I gave away two as gifts and kept the Special Kojic and Glutathione Combo Beauty Bar for myself. :P It's not as goopy as the Oatmeal version, but it is quite red. It's very red. It can leave a mark on your soap dish if you don't clean it up pronto. 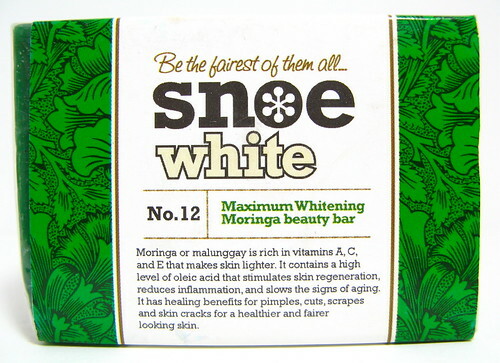 I haven't observed any whitening. In fairness, I only started using it a few days ago. 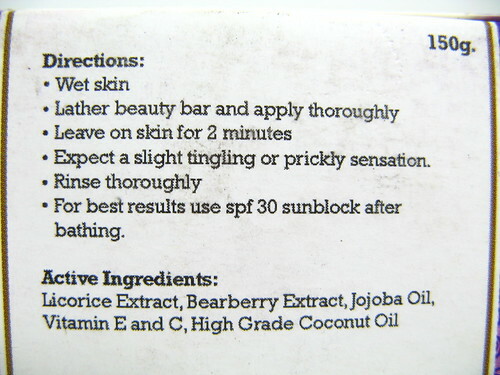 Overall, the Exfoliating Oatmeal Beauty Bar is my favorite, even with the goopiness (I can live with it, I think). You should try it. 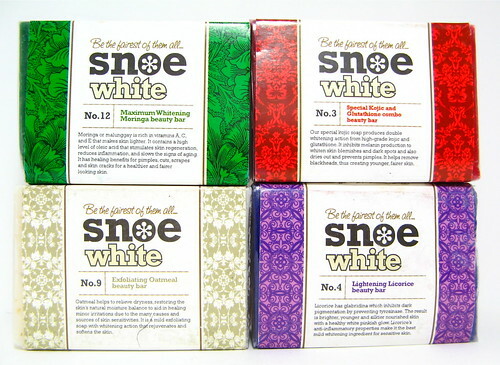 Otherwise these beauty bars make neat gifts because of the bright colors and interesting packaging!